Not every woman is a mother, grandmother, aunty or sister - but all women are daughters. I firmly believe that short story collections are not meant to be read from front cover to back cover – they’re meant to be dipped in and out of at leisure; randomly flicked through until a particular title jumps out and captures the imagination. 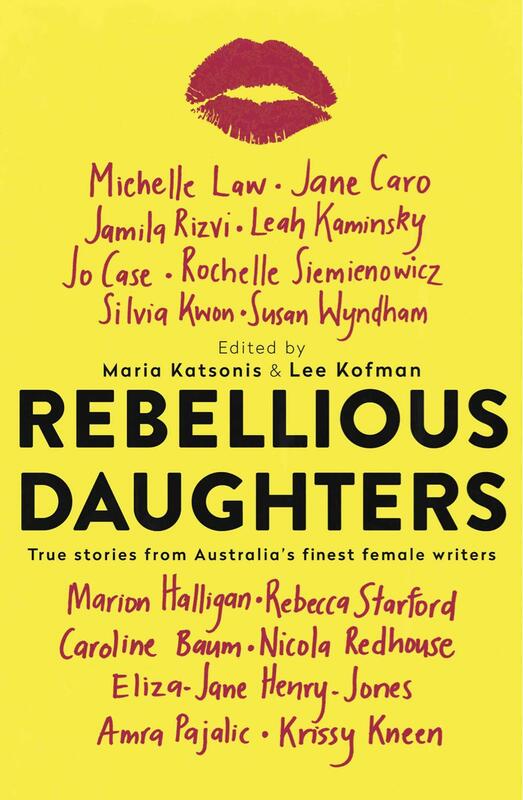 Rebellious Daughters, a consciously controversial collection of short works by female Australian writers, is a feisty compendium of creative nonfiction. Focused primarily on female experiences, it showcases the variety of pathways that rebellion can take and the necessity of resistance in parent-daughter relationships. From Maria Katsonis’ refusal to wear the mantel of the good Greek girl to Susan Wyndham’s anxiety about her dependency on her mother, these intimate stories explore how familial relationships can fall profoundly prey to unpredictable feelings. Some contributors have arguably had more to rebel against than others: Eliza-Jane Henry-Jones writes heartbreakingly in ‘Just Be Kind’ about sleeping with a knife under her mattress because she was so terrified of her violent, Alzheimer’s-afflicted grandmother, and how later caring for a father self-medicating with scotch and codeine affected her own relationship with alcohol. Rebecca Starford describes the fall-out effect of writing truthfully about her fractious relationship with her mother in her 2015 memoir and Jo Case reflects on whether the act of rebelling as a teenager has set her on a problematic course as an adult. By equal turns poignant, funny and confronting, Rebellious Daughters is a well-crafted anthology that raises some interesting questions. Does rebellion exact a price? Is it possible to be true to oneself without raising hell with one’s nearest and dearest? Mother’s Day may be many months away yet, but if you have a female role model in your life whom you like to lock ideas with as well as horns, this is a great book to share and discuss.